When we are out with our friends, it is great to spend time chatting and catching up with what we've missed. But in a loud environment with music or a crowd you may find it hard to hear? It's quite frustrating that you cannot catch up in the conversation. Excess ear wax or swimmer's ear can affect our hearing so its important to find the right products to support ear health.Prices are Inclusive of GST (sales Tax). Page updated 28/11/18 4:26:24 a.m.
Clean your ears - Clean your ears with extra care. 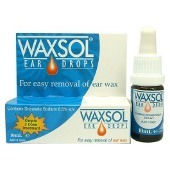 Don't get carried away with the thought that you have to take out every earwax you might have. They are there to actually protect our ears. However, when it goes on your outer ear, you can clean it off. It is recommended to use wash cloths to wipe the outer ear. Never insert anything in your ear canal - Qðtips, bobby pins or other pointed objects. If you got ear piercing, it is best to take off your earrings once in a while and wipe them as well as your earlobes with alcohol. Protect your ears from too much noise - Too much noise could impair your hearing. Avoid high volume level when listening to music. Address illness immediately - Some illnesses like those affecting nose and throat could also affect your ears. It is best to treat these illnesses promptly to avoid getting your ears affected as well. We all don't want to lose our hearing. So it is vital that we take good care of our ears. It is recommended to see an ear doctor if we notice irregularities with our hearing. But if we want to prevent this all, it simply starts with proper ear care. Page updated 28/11/18 4:26:24 a.m.